We’re big proponents of DIY (do it yourself) but sometimes, time and resources make it difficult to take the DIY approach. 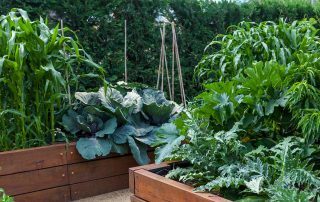 When it comes to gardening, many people put off getting started because they think it’s going to be hard, grueling work that will require spending days sourcing materials and doing construction. If this sounds like you, we’ve got good news: we’re going to show you how you can click a few buttons on your computer, then have your garden set up and ready to go ridiculously fast – yes, even before breakfast.